Nothing can ever fill the void and the heartache that comes with neglect. Imagine showing nothing but love, loaylty and devotion to a loved one, only for them to betray you in the end. Such was the case for an adorable one year old shepherd named joel. joel’s owner didn’t want him one day, and so he rounded up all his personal belongings, instructed him to get in the car, and proceeded to make the journey to San Bernardino City Shelter, a high kill facility located in California. The sweet, and obedient joel could only watch, as his owner walked away in cold and stunning fashion, leaving him all alone to fend for himself. When it’s lights out at the shelter, joel can often be heard gently weeping him self to sleep, wondered what on earth he did to deserve such a fate. Sad indeed. Speak Up! 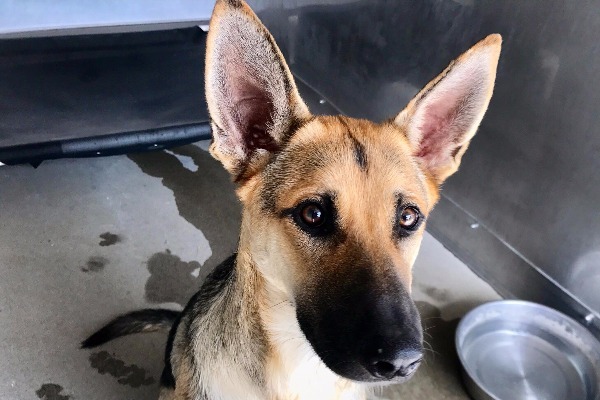 if you or someone you know is interested in giving this precious pup the forever family he rightfully deserves, please contact the San Bernardino City Shelter at (909) 384-1304 and reference the shelter ID #A504610. Additionally, please share this story on Facebook or Twitter, so we are closer to finding joel a home. We have done it before and can certainly do it again.